You have to be good to be lucky! I am going to stick with that. At the same time we feel very fortunate to have forged the relationship we have with a premier fitness facility in Ontario which is quickly expanding across Canada - Movati Athletic. So how did it start? Well on a bad note, really. In early summer last year Karin DiCarlo dropped into our storefront to let us know that she was unhappy with the taste of her Custom blend. Karin was quickly impressed with how our Operations Manager, Jenn handled the situation. Jenn said without pause, "that's OK Karin, we will replace it, we will make it right." She also noted it might be a good idea to sit down with one of us so we could understand her race goals, what has worked nutritionally in the past, the benefits of proper hydration and to ensure we get her preferences built into the blend. So we had that consult scheduled, but Jenn learned that Karin had a big training weekend coming up, so she got a GO Pack of Run or Ride into her hands so she wasn't leaving empty handed. The following week I had the opportunity to go through a Nutritional Consult with Karin. We always start our consults by getting to know an athletes goals or A-races. During our initial discussion it was clear to me that Karin was well educated with respect to nutrition and physiology - I asked: "Karin by your dialogue and the terms you are using it sounds like you may be educated in the sciences", Karin in turn: "Funny you should say that, I have an Applied Health Sciences Degree from Waterloo". I thought this was great. So we go through the rest of the consult - it was a good call and at the end, I ask: "Karin, I can't help but notice your email address ____@movatiathletic.com, what capacity do you work with Movati. Again: "Funny you should ask, I am the National Cafe Lead for Movati". Of course this was of interest to me. I knew that Movati was a great and growing brand in the fitness industry, so I simply said - perhaps we will get an opportunity to discuss our roles and see if there isn't some sort of fit to work with one another. A few weeks later we met at Infinit. 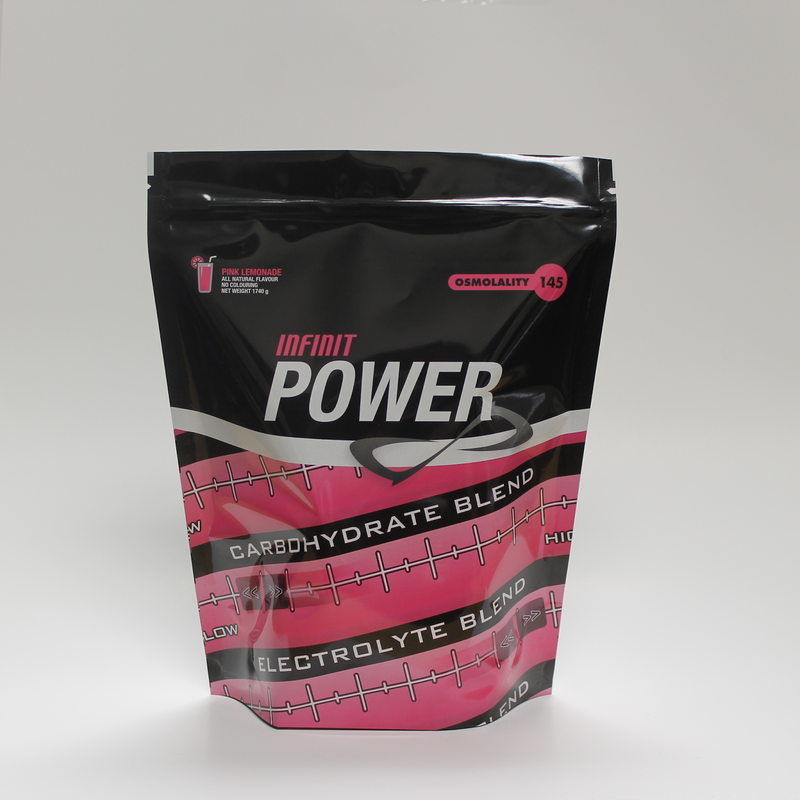 Karin was looking to offer her clients a product that would support their fitness and health goals. 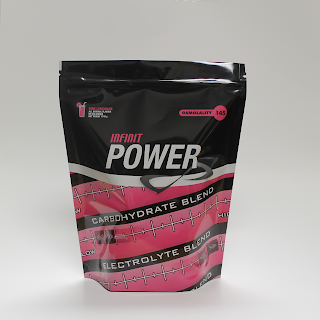 A product that would keep folks hydrated, offer a small amount of carbohydrates, a bit of protein and BCAA's. When formulating we had athletes participating in spinning and hot yoga in mind - calories would be kept to 100 and it would taste great for easy drinking. We created samples of the new product and also offered up samples of our new product Infinit Cold Brew. Both were a hit with Karin. We produced trial quantities of each blend so Karin could get feedback from her fellow team members. 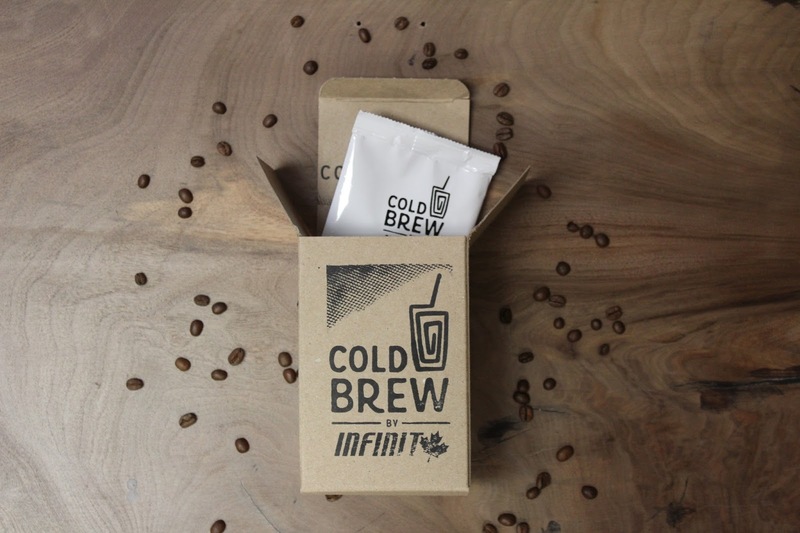 After good feedback - we created about 1000 of each the Infinit Cold Brew and the newly named Infinit Power. Product testing with clients at the Movati Orleans location in Ottawa was a huge hit. We received our first order for all the clubs (14 at present) in November, subsequent orders in December and third orders have been received in the new year from the majority of the clubs. Volume and feedback has exceeded both Karin's and my expectations - we are thrilled with the launch. 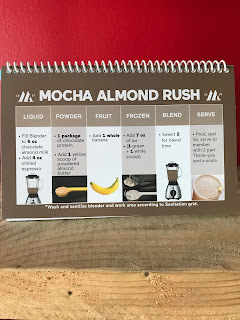 Karin and Movati have a very structured approach - there are recipe cards/booklets for the various shakes offered at their nutritional bars. 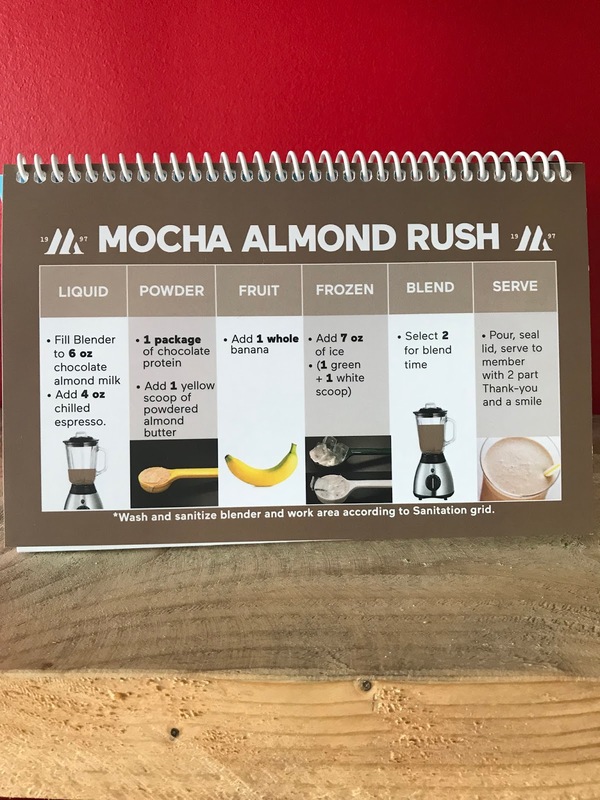 One of them we are thrilled to be part of; one of the main ingredients of Mocha Almond Rush is Infinit Cold Brew. Cold Brew is also served straight up on its own, a great treat after a workout (or anytime) that has 21 g of protein and just enough usable carbs. Our focus to date with Movati has been on Cold Brew - in the coming weeks we know there will be a push to educate folks on Infinit Power. As you can tell we are thrilled with the relationship. Being that all the clubs are in Ontario - I am going on a road trip to visit each facility, do an hour work out, meet with the Team for an hour to understand what is going well, what we can improve upon and to understand future opportunities. Trip is scheduled from Feb 5th through through to the 9th, we will be sure to share images and some insight to the Movati way next week. Be sure to follow us on Instagram, Facebook and Twitter to catch highlights of the Ontario road trip!